In the podcast series David will have podcasts with various celebrities including Whoopi Goldberg, Olivia Colman, John Hamm, Ian McKellen, Samantha Bee, Jodie Whittaker, Michael Sheen and Krysten Ritter. Podcast accounts (which are not run by David himself) can be followed on Instagram and Twitter. The podcast can be downloaded on at least 6 different podcast sites including iTunes. A new David Tennant Does A Podcast With... is posted each Tuesday. 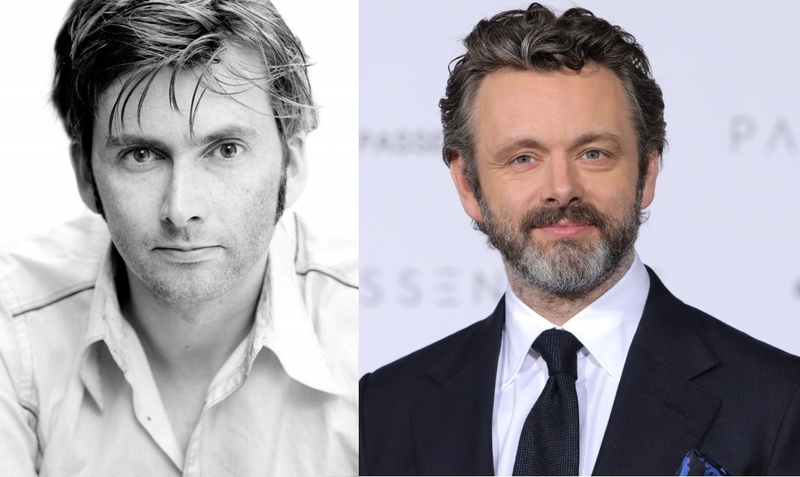 David Tennant and Micheal Sheen star in the adaptation of Neil Gaiman and Terry Pratchett’s comedy Good Omens. It will be released first on Amazon Prime on Friday 31st May and then BBC Two will broadcast it six months after that. The six part television series is set in 2018 on the brink of an apocalypse as humanity prepares for a final judgement. But a somewhat fussy angel called Aziraphale (played by Michael Sheen) and Crowley (David Tennant's character who is a demon) aren’t enthusiastic about the end of the world and can’t seem to find the Antichrist. Neil Gaiman has adapted all six episodes of the series (which are each an hour in length) and has served as showrunner. Good Omens was Neil Gaiman’s first novel and was written in collaboration with Terry Pratchett who died in 2015. Tues 23 Apr - A new David Tennant Does A Podcast With... is released. This week David chats to Michael Sheen. Thurs 25 Apr - David Tennant records Have I Got News For You for a fifth time. Fri 26 Apr - David Tennant's fifth episode of Have I Got News For You premieres on BBC One at 9pm. Sat 27 Apr - David Tennant is a guest at Wales Comic Con fan convention in Wrexham, Wales. Mon 29 Apr - David Tennant's fifth episode of Have I Got A Bit More News For You premieres on BBC One. Tues 30 Apr - A new David Tennant Does A Podcast With... is released. Tues 30 Apr - How To Train Your Dragon: The Hidden World released in the US on download. Thurs 2 May - Good Omens book to be republished in the UK with a photo of David Tennant and Michael Sheen on the cover. Tues 7 May - The Nice And Accurate Good Omens TV Companion published in the US in both hardback and on Kindle. Wed 15 May - British Podcast Awards poll closes at 5pm. 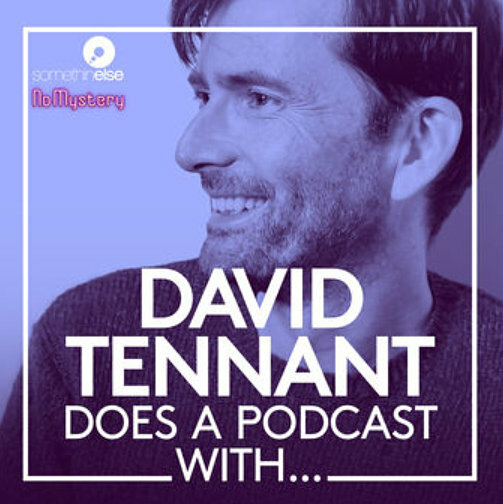 David Tennant Does A Podcast With... is included in the Listeners’ Choice Award. Each day we also tweet all of David's appearances on television (including repeats) in both the UK and on BBC America in the US. Latest David Tennant News This section lists all the recent news about David Tennant, as well as whenever he is mentioned on the internet and in the media. A final batch of photos of David Tennant at C2E2 last month. An Easter message from the Tenth Doctor has been posted online. David Tennant Daily News Digest for Saturday 20th April 2019 (3 items). Doctor Who Series Four Steelbook to be released in May. David Tennant Daily News Digest for Friday 19th April 2019 (4 items). A clip from David Tennant’s podcast with Tina Fey has been posted online. A photo of David Tennant at the Good Omens panel in LA on Wednesday evening has been posted online. David Tennant Daily News Digest for Monday 15th to Thursday 18th April 2019 (24 items). 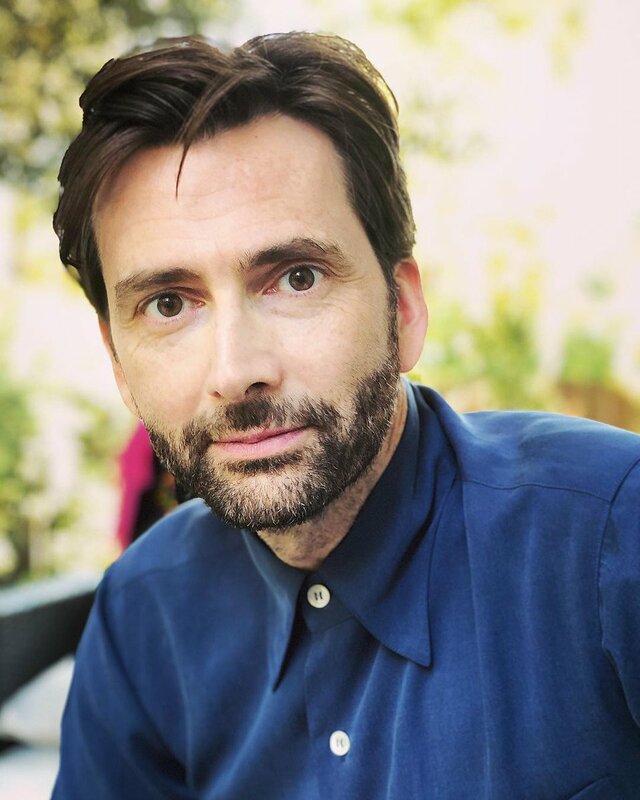 Thursday 18th April 2019 - David Tennant's 48th birthday! Another fun photo of David Tennant at the Good Omens event in LA last night has been posted online. A fun photo of David Tennant with the Chattering Nuns last night has been posted online. A photo of David Tennant with actor Rico Anderson in LA last night has been posted online. Photos of David Tennant at the Good Omens event at The Hollywood Athletic Club yesterday. Photos of David Tennant at the Good Omens press conference in Beverly Hills yesterday. Daily Mail has a couple of photos of David Tennant at the Good Omens event in Los Angeles last night. A fun photo of David Tennant at the Good Omens event in LA last night has been posted online. A lovely new photo of David Tennant has been posted online. As today is David Tennant's 48th birthday, we posted 48 photos of him today (two each hour). SFX Magazine has a double sided Good Omens poster. A new Good Omens behind the scenes video has been posted online. David Tennant attends a Good Omens event in Los Angeles tonight.